There are many reasons that our dealership is unique, and each and every thing that we do differently is designed to provide you, the customer, with a better overall experience. We have an upscale facility and a friendly and helpful staff, and we offer all the services you need to make finding, buying, and owning a vehicle easy and exciting. Our extensive and diverse inventory is fairly priced, and we always go the extra mile to make sure you leave happy. Drivers and car buyers from Richmond, Vancouver, Victoria, Surrey, and Langley find everything they need and more than they expect when they work with us. If you are looking for something new and exciting to drive, consider a new Mercedes-Benz. These cars look as good as they drive while offering true levels of luxury inside and out. We also curate an exciting inventory of pre-owned vehicles from multiple automakers, including other luxury brands. Count on finding your ideal luxury pre-owned vehicle while saving money in the process. Our financing team makes it easy to get a generous auto loan and seal the deal, and our service department is equipped to handle all your ongoing maintenance and repair needs. If all you need is parts and accessories, we offer official Mercedes-Benz equipment. After you’re out on the road, stop by the Vancouver Island Motorsport Circuit, Canada’s only year round motorsport facility – and the best place to push your high-performance Mercedes-Benz to the limit. And since they partner with our dealership, customers get special benefits. Need a place to stay while you’re there? You can count on being well taken care of a Villa Eyrie, our partner hotel on Vancouver Island. 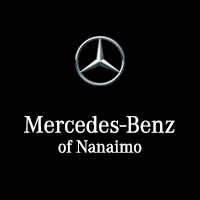 To learn more about our dealership and partners, stop by our dealership at 2472 Kenworth Rd in Nanaimo or contact us at anytime.